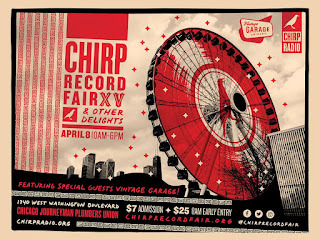 CHIRP Radio and Vintage Garage will be sharing space tomorrow when the 15th Annual CHIRP Record Fair And Other Delights takes place tomorrow at the Local 130 Plumbers Union Hall at 1340 W. Washington in Chicago. Vintage Garage will set up shop on the first floor, with 25 vendors offering vintage decor and fashion items. 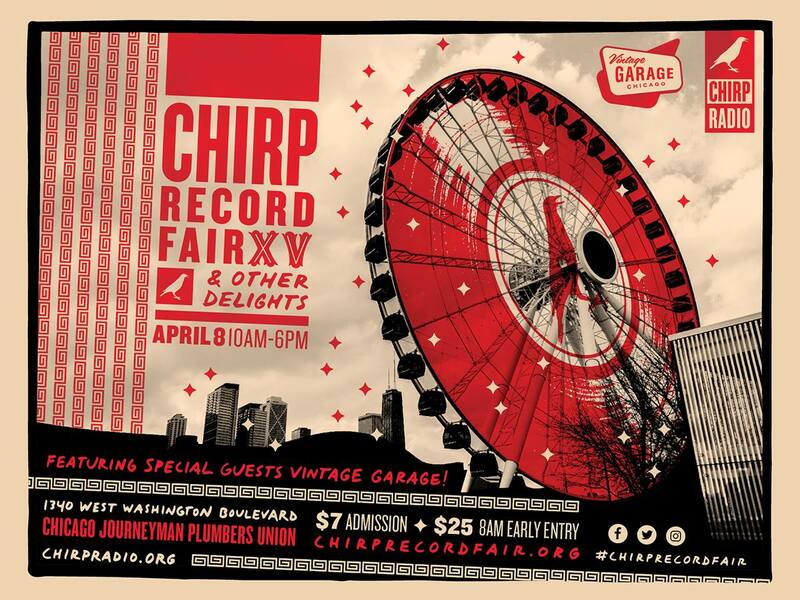 CHIRP will fill the the second floor with vinyl, CDs, videos, and other music memorabilia for sale. It’s also a great place to see local musicians wandering the aisles, looking for rarities. 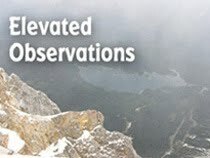 Admission from 10:AM to 6:00 PM is $7; early admission from 8:00 to 10:00 AM costs $25, with readmission allowed all day. Lovin’ Spoonful founding member and solo artist John Sebastian will be at SPACE in Evanston this Sunday night. Richard Thompson has two shows at The Old Town School of Folk Music this Sunday; an all request show at 4:00 p.m. and his regular show at 8:00 p.
An Evening With Graham Nash at The Old Town School Of Folk Music on July 30 sold out immediately this morning. Here’s hoping he adds another show because I wasn’t able to get a ticket. In other Nash news, his Facebook page states that he’s now open to patching things up estranged pal David Crosby. The current political climate in the USA is said to be a factor in his change of heart. Other concerts that went on sale today include NRBQ at The Hideout on May 26 and 27; Feist at The Vic on June 14; Air at the Auditorium Theatre on June 20; Drive-By Truckers at Pritzker Pavilion in Millennium Park on June 20; and The Alarm at City Winery on August 28. Imelda May has a gig at Park West on June 30, and according to writer Tom Lanham’s article in the issue No. 141 of Magnet magazine, the Irish singer explores some new territory on her upcoming album Life, Love, Flesh, Blood. Tellin’ Tales Theatre wraps up its latest production, Metamorphosisthis this weekend at the Prop Thtr on Chicago’s north side. James Sweeney from Live Lit will be joining in, along with regular members Tekki Lomnicki, Steve Glickman, and Judi Lee Goshen. Los Angeles-based band The Shelters, whose self-titled debut was one of the very best albums of 2016, will be at Beat Kitchen next Wednesday, April12. The Zombies bring their Odyssey and Oracle 50th Anniversary Tour to Thalia Hall on Thursday and Friday. The Kaleidoscope Eye psychedelic festival coming to the LiveWire Lounge in Chicago this September now has an official Facebook page. Check it out for updates, and also to provide feedback to organizers Tim Ferguson of The Red Plastic Buddha, Gregory Curvey The Luck Of Eden Hall, and Lee Klawans. Exhibitionism, the massive, multi-media The Rolling Stones exhibit comes to Navy Pier next Saturday, April 15and will run through through July 30. The Penthouse Sweets, a band who’s made some memorable appearances at The Abbey Pub and other venues around Chicago since 2002, have a new album titled In The House Of The Penthouse Sweets coming out at the end of this month. Band member Lou Hallwas helped out Material Reissue on keyboards during a recent concert at Metro. In other local releases news, new albums are coming John San Juan from the psychedelic band The Hushdrops; Christopher David from Magatha Trysty, and singer-guitarist Phil Angotti.